The case of Marlise Muñoz made national headlines when her family sued a Fort Worth hospital to take her off life support. She was kept on machines for roughly two months, but doctors couldn’t remove her because she was pregnant. This case is now in the spotlight again, but this time at the Texas Capitol. According to WFAA, the husband of Marlise Muñoz will not be billed for his wife’s two month stay at JPS Hospital in Fort Worth. Marlise Muñoz, the North Texas woman who was brain dead and pregnant, stayed at JPS Hospital for 62 days, against the wishes of her family. Has Lt. Gov. Candidate Jerry Patterson Changed His End-Of-Life Views? All four said a judge was wrong when he ordered John Peter Smith Hospital in Fort Worth to honor the wishes of a family and disconnect the ventilator of a brain-dead woman who was pregnant. But, in an earlier debate, candidate Jerry Patterson said end-of-life decisions should be made by the family. Five stories that have North Texas talking: Two retired Cowboys open up about memory loss; Marlise Muñoz’s husband said she made him a better man; the Cliburn piano contest launches an event just for teens; and more. It would have been hard to find a happier man than Erick Munoz on that Tuesday morning before Thanksgiving. With a healthy and delightful son toddling around the house, and his beautiful and successful wife pregnant with their second child, the fire department paramedic had everything in life that's really important. So it must have been with a feeling of disbelief and horror that Munoz knelt across the nearly lifeless body of his wife, Marlise, on the kitchen floor at 2 a.m., his fingers linking across her heart, arms pumping away in vain. 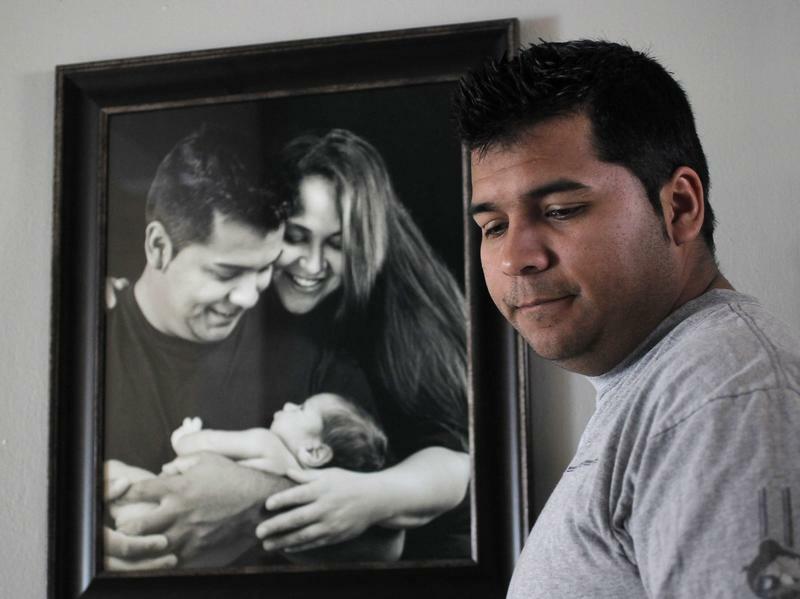 Before Marlise Muñoz, the North Texas woman who was brain-dead and pregnant, was taken off life support, her husband says he decided to name what would have been the couple's second child. 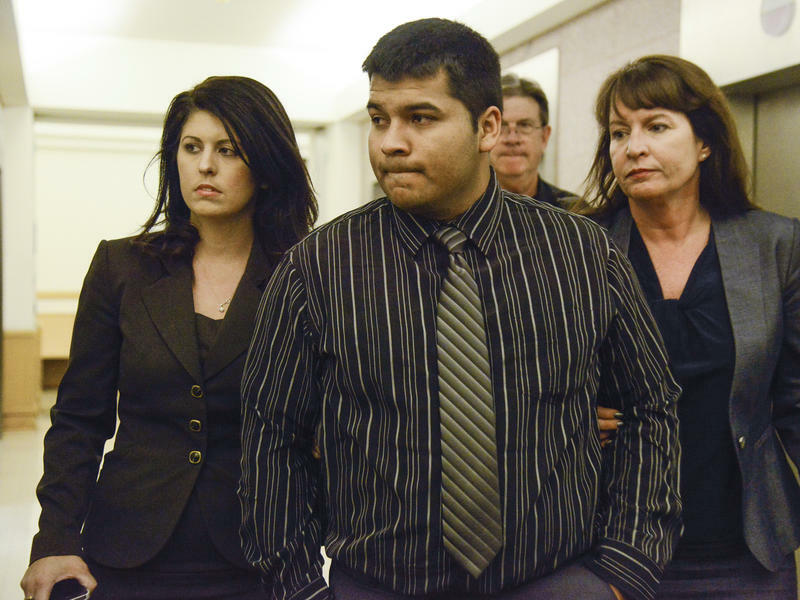 Erick Muñoz told The Associated Press on Monday he gave the 23-week-old fetus the name of Nicole, his late wife's middle name. Muñoz would not say why he chose to name the fetus. Five stories that have North Texas talking: A big night for a band with North Texas roots; Marlise Muñoz, the brain-dead pregnant woman, has been removed from life support; the Republican lieutenant governor candidates face off tonight in a debate on KERA; and more. Marlise Muñoz, the North Texas woman who was brain dead and pregnant, has been removed from life support, her family said Sunday. And now, after two months of visiting his wife in the hospital, Erick Muñoz can proceed with laying her body to rest. A state district judge has ruled that Marlise Muñoz, the brain-dead North Texas woman who’s 22 weeks pregnant, must be removed from life support by 5 p.m. Monday. The decision Friday afternoon comes after John Peter Smith Hospital declared publicly for the first time that Muñoz has indeed been brain dead since late November. The hospital also says the fetus inside Muñoz is "not viable." For weeks, hospital officials had said she isn’t dead and that her condition is serious. The case of the Texas woman, 22 weeks pregnant and being kept on life-support machines at a Forth Worth hospital against her husband's wishes, goes before a judge in North Texas on Friday. Marlise Munoz has been on respirators and ventilators since she was found unconscious in her home in November, when she was 14 weeks pregnant. Attorneys for the husband of a pregnant North Texas woman being kept on life support say the fetus inside of her is "distinctly abnormal." Erick Munoz's attorneys said in a statement Wednesday that the fetus that Marlise Munoz is carrying has several "abnormalities," including a deformation of the lower body parts that make it impossible to determine its gender. A different judge will consider a North Texas man's request to remove his pregnant, brain-dead wife from life support at a hospital. A hearing has been scheduled Friday before state District Judge R.H. Wallace in Fort Worth in the case of Marlise Munoz, the North Texas pregnant woman who's been on life support. The judge in the case of a hospital's refusal to remove a pregnant North Texas patient from life support has recused herself from hearing the suit filed by the woman’s family. State District Judge Melody Wilkinson recused herself Thursday from the lawsuit over the status of Marlise Muñoz. Wilkinson has offered no explanation. Meanwhile, attorneys representing the Muñoz family say that medical records released by John Peter Smith Hospital in Fort Worth confirm that Marlise Muñoz is brain dead. Was The Lap Bar Secure Before A Grandma Was Thrown Off A Six Flags Roller Coaster? Five stories that have North Texas talking: employees differ on whether a Six Flags passenger was sitting safely in her seat; Dallas-Fort Worth is on a mountain cedar high; pets star as artwork mashups at the Dallas Museum of Art, and more. The husband of a pregnant North Texas woman on life support is suing the hospital to have her removed from life support. A lawsuit filed Tuesday in state district court asks a judge to order John Peter Smith Hospital in Fort Worth to remove life support for Marlise Muñoz, a Haltom City woman who fell unconscious in November while pregnant. Death seems one of life's few certainties, but the cases of a girl and a young woman who are being kept on life support even though they are legally dead show how difficult it still can be to agree on the end of life.